Now that the countdown has begun for the Holiday season, it had me wondering how did they celebrate this festive season during the Regency era. Throughout Europe, England being no exception, the custom of giving a gift on the 6 of December, in commemoration of St. Nicholas, was widespread. Eventually, however, separate customs tended to become condensed. Thus a gift was given for New Year or Twelfth Night. Once Twelfth Night was over, all the decorations were taken down and the greenery burned, or the house risked bad luck. The Christmas holidays lasted for several weeks, due in part to the long, cold journeys undertaken to visit family for the holidays and the guests were reluctant to leave again. This put a strain on the cook and housewife alike, and a varied and full menu had to be prepared for guests, and for the possibility of those same guests being snowbound, and not being able to depart. Christmas pudding as we now know it first appeared in the reign of King George III. It was said to have been invented especially for him by his chief, because of his inordinate love of English puddings. Before this, the pudding was more of a pottage or porridge, with all the right ingredients we attend to associate with the traditional Christmas pudding but cooked in a large cloth and rather sloppy. Which leads us to Bullet Pudding which was a family name for Christmas Pudding or should I say, the name given to a particular pudding which turned out to be as hard as a bullet. Imagine putting on a fine ball gown decollété, floaty and clinging, leaving no room for flannel petticoats, your hair dressed in such a way that only the flimsiest scarf can protect your head from the cold night. The coach offers little protection, draughty. What you need when you arrive at the Christmas Ball is a bowl of white soup to put color in your cheeks before greeting the other guests and old acquaintances there, already glowing from their own partaking of the soup, mulled wine and the dancing. Anyone care for a glass of Wassail? Ravenstone changed topics —and directions—abruptly, before she could respond. 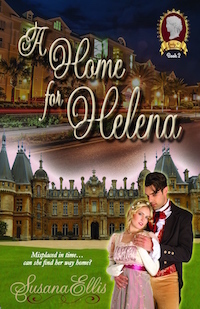 Touching her elbow lightly, he walked her across the ballroom to an alcove, discretely screened by potted palms. 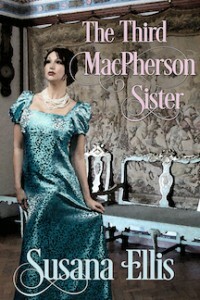 He escorted her to a green velvet chaise longue, and Lady Emma smoothed a hand over her already neatly coiffed hair. He knew her reputation would be in ruins if someone from the ton should stumble upon them in such an intimate situation without benefit of a chaperone. At this moment, though, he only wanted to be with her. His thoughts went to the painting displayed in a place of honor this very night. Of course Emma couldn’t have known it was an image of the very day he had experienced his descent into hell. His thoughts must have shown on his face, for she placed her hand lightly over his. Ravenstone’s chuckle cut her off abruptly. He spoke against the softness of her skin, and planted his lips tenderly on her forehead. Reaching up to pluck one of the white berries, “Kiss number two,” he whispered, then kissed each eyelid in turn, finally pressing his lips on her mouth. His hands wrapped tightly in her hair, holding her head at exactly the right angle for his ministrations. His body pressed her back against the upholstered arm of the chaise, and he welcomed the heat she generated. Her response was creating such amazing sensations that he simply pressed closer. She swayed, and he swayed with her, wrapping his arms around her, intoxicated. He just wanted to hold her close. To absorb her sweetness. Light burst inside him for the first time since that fateful day in France. He had thought he’d rather face an army of Napoleon’s men than consider marriage. But when he was with Emma, anything seemed possible. When he was with her, he never wanted to let her out of his sight. He loved how she challenged him. Unlike the other women on the marriage mart, Emma wasn’t frightened of his stern expression. He wasn’t sure when he’d started to think of her in such intimate terms, but it felt right. She didn’t pout or flutter her eyelashes ridiculously in an attempt to make him smile. She had enough joi de vivre for them both. A few curls tumbled loose from her coiffeur. 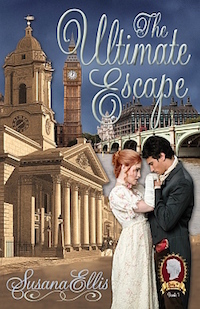 He heard her breath catch, but she remained within his embrace, and her eyes fluttered open. Lettice shook her head, then giggled. Mad? She must be. Lettice felt as though she were losing all sense of reality. His kisses sent her into a state of bliss that she hoped would last forever. She should stop him from taking any more liberties, push him away, but her body wanted more. For once in her life, she wanted to experience what others had. 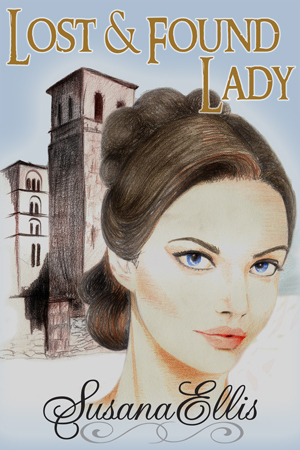 Lettice had read and overheard enough to realize what could transpire between a man and a woman. This—whatever this was—was worth the consequences. 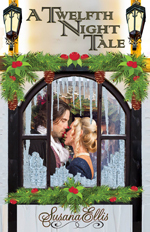 An Earl’s Christmas Embrace will be released on November 23rd. I have been reading romance novels since my aunt introduced me at the age of fourteen and I have not stopped reading them. 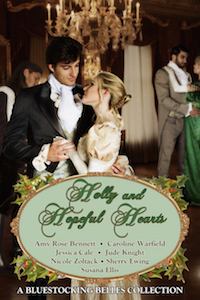 Regency romances are one of my all-time favorite eras (grand ballrooms, dinner parties while sitting next to a grand duke or war hero just returned from fighting against Napoleon and the French. Hey, a girl can dream, can’t she?). When I am not reading (or writing the stories I have visions in my head and are now writing), I am enjoying the joyful moments with my growing family, the ballet and romantic movies. Writing has always been a great passion for me, a long road of many ups and downs (and lots of online writing classes) and the years it took to get the craft right, finally, all my time and efforts paid off and now my dream of becoming a published author is going to become a reality thanks to a great opportunity of winning a first chapter Facebook contest.